Gaming isn’t all about graphics. This game proves just that. Scott Pilgrim vs. The World: The Game. I love how this game, even though released in HD last year, acts just like a retro side-scroller beat ‘em up. Although the actual gameplay can get annoying at times (like when you get hit, it’s almost impossible to start fighting again after getting up since you just get knocked down again), that isn’t the point of today. 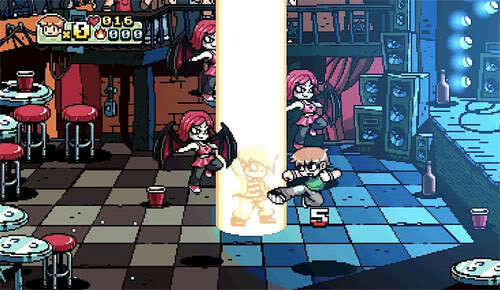 Many gamers will appreciate the art direction this game took, and a good job at sticking to the theme of the Scott Pilgrim series. It’s a joy playing this game, especially with friends. There are also references to many other games which adds to the value of the game, in my opinion.